Have you been involved in a product liability case? If so, there are certain things that you may need to prove to make your claim. 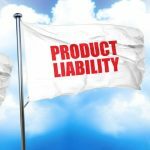 Here is what our product liability law firm needs you to consider in a product liability case in the state of California. 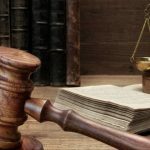 What Is California Product Liability Law? First, you need to know what product liability law in California means. Under California law, the designer, manufacturer, or seller of a defective product is liable for any injuries or harm that the product causes. This is true even when the company was not intentionally or unintentionally negligent. 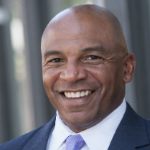 California adheres to strict liability law for defective products. If a product is considered to be particularly dangerous or fails to warn consumers of the risk, then any person involved in the manufacturing or distribution chain can be held accountable. But what do consumers need to prove their claim? 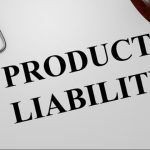 What Types Of Liability Can Be Proven In A Product Liability Case? Contrary to what many people think, a victim of a defective product injury does not have to prove that the manufacturer or other party was negligent. The plaintiff will need to prove that the product was defective and there is a sufficient causal connection. Defective design: California courts use two tests to determine liability in a defective design situation. The first is a consumer expectations test and the second is a risk – benefits test. In a consumer expectations test it must be proven that the product failed to perform safely in a way that any consumer could expect. In a risk – benefits test, the plaintiff needs to show that a feature of the product caused the injury. The defendant then would need to prove that the benefits outweighed the risks in the design. Lack of adequate warning or instructions: Manufacturers are obligated to warn consumers of any potential risks. Even if the product is designed without default and with safety in mind, consumers still need to know about potential risks. Manufacturing defect: If the product has an actual defect then the attorney should file a claim of strict liability. It must be proven that the product was indeed defective to hold the manufacturer responsible for your injuries. It is not uncommon for a manufacturer to defend themselves against your claim by making accusations against you. They can say that you modified the product and made it unsafe yourself. They could claim that you used the product in a way that wasn’t reasonably foreseeable. Another defense a manufacturer can use is claiming that you are a sophisticated user and should possess the knowledge, skill, or experience to know that the product was dangerous. 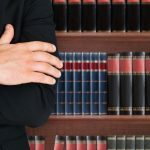 This is why it pays to have a skilled attorney represent your case.